Physical activity can lower your risk of developing – or help you manage – many chronic health conditions, including coronary heart disease, stroke, Type 2 diabetes, some types of cancer, obesity and arthritis. It can also reduce the risk of depression, dementia and Alzheimer’s disease. Many people are afraid of doing exercise because they fear it will do more harm than good but the risks of doing exercise – if introduced gradually – are low. Your body is designed to move and not doing any exercise carries far more risk. Too much time spent watching TV, reading or travelling by car, bus or train can lead to a loss of physical and mental function. If you’re living with a long-term condition you may be able to get fitness advice from a charity or organization that deals with your specific condition, such as Arthritis Research UK, Parkinson’s UK and the Alzheimer’s Society. 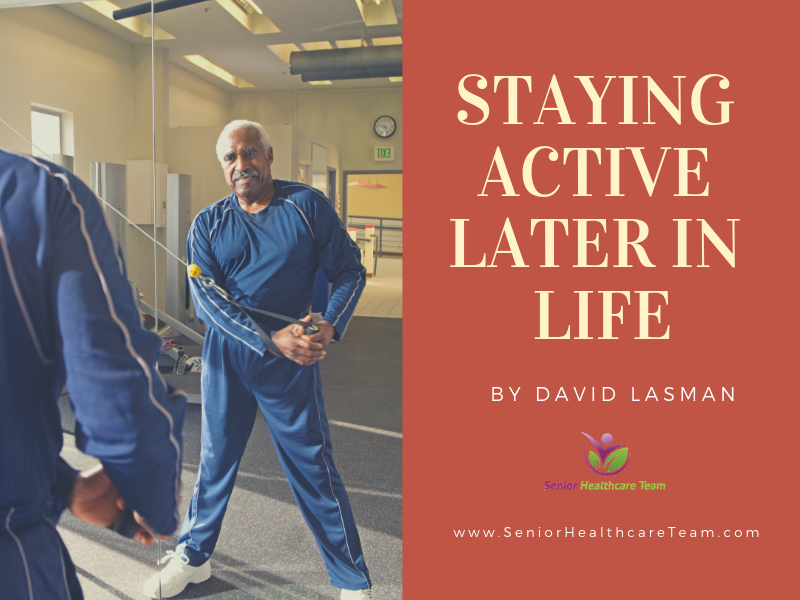 get support by exercising with a friend or joining a class – many gyms and leisure centers offer exercise classes specifically designed for older people.